the call in an interview in Abuja on Monday. nonpayment of their pensions and other entitlements. crucial, given the plight of pensioners in the country. death benefits have yet to be settled. of requesting for the bailout. Government did the bailout of salaries for the states. include pensioners and we are agitating for it. in pension and other entitlements. well as the unpaid gratuities and death benefits. pensioners were met by the government. audience with us next week. we will intimate the law enforcement agents about it. Hey Buddy!, I found this information for you: "Nigeria Union of Pensioners seek special bailout fund for pension arrears". 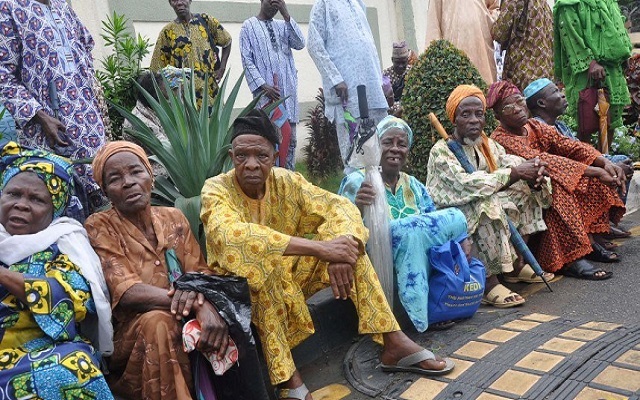 Here is the website link: https://360kwado.com/nigeria-union-of-pensioners-seek/. Thank you.